For me, poetry deepens experience. Offers new perspectives. Draws me farther into mystery. Gives pause. Lengthens moments. Reading, hearing, and writing poetry means savoring. I was never a fan-girl. I didn't cover my walls with posters of Madonna or of boy bands. In fact, my first (maybe my only) poster was of Dwight Yoakam. His cowboy hat tilted over his face. I didn't mind that. I wasn't imagining him, but his song "1000 Miles from Nowhere." And I liked how he looked in his jeans. But this poem made me swoon with an adolescent infatuation I had never experienced before. I was so ga-ga that my poetry professor and my boyfriend (he's now my husband) were concerned enough to talk to me about valuing my own voice. Why did I fall so hard? Because I've known such moments, quiet among other people in a rural neighborhood waiting for something or someone to pick me up, carry me elsewhere. Moments when the sublime crept up and took me deeper into where I was. It didn't matter that the landscape wasn't picture perfect. It was still gorgeous, still beautiful if brutal and threatening. And what solace in these lines: "The swan is made for the water. / You can't judge him out of it. He's made for the chapter / in the rushes." 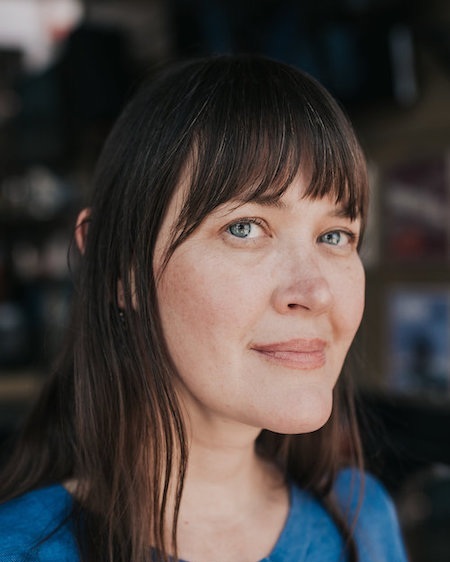 Tina Mozelle Braziel won the 2017 Philip Levine Prize for Poetry for her book Known by Salt (Anhinga Press 2019). Her chapbook, Rooted by Thirst, came out in 2016 with Porkbelly Press. Her individual poems have appeared in The Cincinnati Review, Southern Humanities Review, Tampa Review, Appalachian Heritage, PMSpoemmemoirstory (where her work was nominated for a Pushcart Prize) and other journals.